States warned Nicholas Maduro of amateur performance in the early elections in Venezuela. Official Washington strongly opposed the decision of the Maduro regime to hold an extraordinary presidential election in Venezuela in April, noting Caracas's performance of international obligations, in particular within the framework of the Organization of American States. This is stated in the official statement issued on Wednesday by the US State Department, Ukrinform's own correspondent reports. "The United States categorically rejects the call of the illegitimate Constituent Assembly of Venezuela to hold an extraordinary presidential election on April 30. This vote will not be either free or fair," the document says. As stressed in the State Department, early elections in Venezuela will not help, and vice versa, will only strengthen the national tension and will not reflect the will of the Venezuelan people. This process "will be considered as undemocratic and illegitimate in the eyes of the international community." 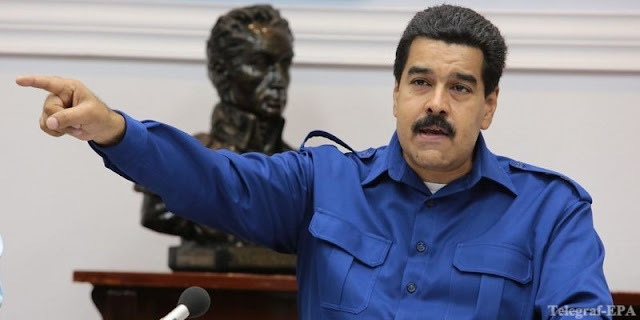 In this regard, the US foreign policy department called on the Maduro regime to "respect the rights of all citizens and return to a democratic constitutional order." Washington stressed the need to hold "free, fair and transparent" elections open to international observation, in order to restore the democratic constitutional order in Venezuela. "We urge the Venezuelan government to fulfill its obligations under the Charter of the Organization of American States and the Inter-American Democratic Charter, and we support the statement of the Lim Group of January 23, which calls for a comprehensive and transparent democratic process," the US State Department said. 1 Response to "The US issued a warning to the President of Venezuela"